Head on over to 13 Deals to get a great deal on Women’s & Men’s Sunglasses. 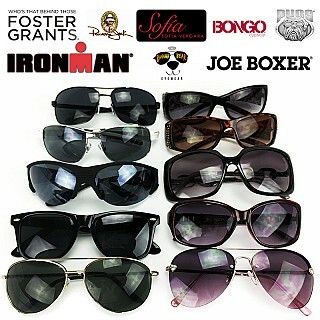 You can get 8 pairs of sunglasses for $14.99 + free shipping!! This means each pair will cost you less than $2. Not bad for 8 pairs of sunglasses. The pack will include a mix of sunglasses from Cosmogirl, Revlon, ESPN, X Games, Eagle Eyes, Pugs, Panama Jack, and more. If you select the Men’s pack it is $2 more (still makes it $2.12 per pair). Heads up this always sells out fast. This is actually my favorite deal as summer comes. I can never keep up with sunglasses, so this takes away the stress knowing that it was only a $2 pair that I just scratched or lost.